With songs that ponder the meaning of life, love, and our fleeting  existence in this beautiful world, Paper Cranes music is  warm, yet melancholy. 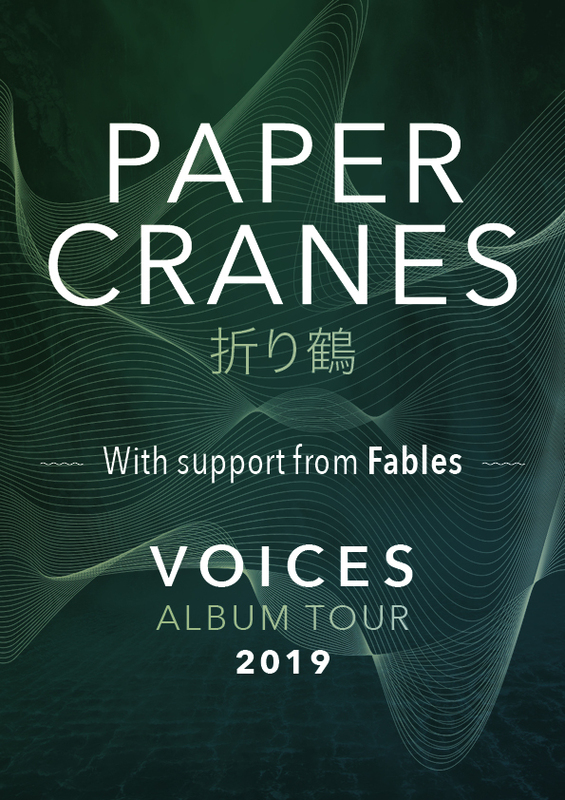 Paper Cranes’ second album Voices is due for release on January 18th 2019, and while it draws on their past sound, this new artistic whole is lighter and more hopeful than their last offering The Road Home. Voices delves into themes of togetherness and relationships, the echoes that pull us together and send us apart. In its darkness and lightness, the album is about doubt and freedom, the changing seasons, the decisions that lead us, the lies we’re told and the search for truth. In the time since ‘The Road Home’ was released, Paper Cranes have played throughout New Zealand on a few tours, including with Auckland band Fables, who will join them on this tour (except on the South Island dates and Festival One). West Auckland Folk Band Fables produce a gentle and heartfelt indie-folk sound which could warm even the coldest of hearts. Jess Bailey’s childhood was spent on twenty-one acres of land in the outskirts of Auckland. She was taught by the Mackenzie Hills of the south Kaipara, dredged in the waters of Muriwai Beach then hung out to dry in the plum trees at home. This imagery is littered throughout the bands wistful lyrics and authentic songs. Paper Cranes full tour dates are below. Tickets are available from Undertheradar, Just The Ticket for Wellington, and direct from The Globe Theatre.